From the Hannahruh lineage, Genny has as great potential to produce grey or spotting. 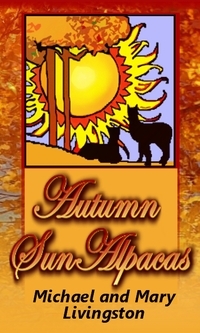 She ahs proven herself to be an excellent mom and produces beautiful fiber on her crias. Then, her cria by Orionn is a fantastic copy color-wise of her! She pushed dark color over the service sire's white. Bred to black, Genesis has produced a very nice black female! This boy did not get the time he deserved in the show ring simply because we run a very small string and had to make a cut. However, when parted this year, we were surprised with how well he is maintaining his fineness, uniformity and crimpy style that he is a getting a rare second chance. Spindrifter's sire, Orionn, has shown us that his crias are always fine and crimpy but sometimes their best fleece doesn't show until they are maturing. One of our fiber boys, that came to us with his dam unregistered and without details of his birth (and hence, still unregistered) STILL has that same crimp and fineness as a mature male. We are confident that Drifter will also maintain this high degree of fineness and crimpy across his uniform and dense blanket as he matures. He is on our price list simply because we have his dam and sire and several siblings. 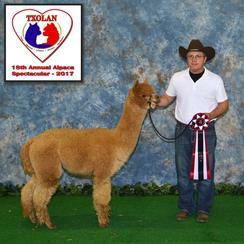 This boy will bring his sire's genetics of longevity of fiber qualities to your herd. 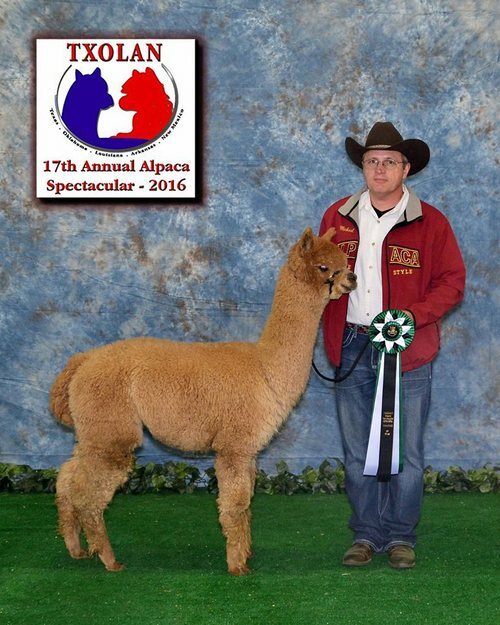 Congratulations to Lynn Betts of Tejas Alpacas for her purchase of Armour. He will be a great addition! 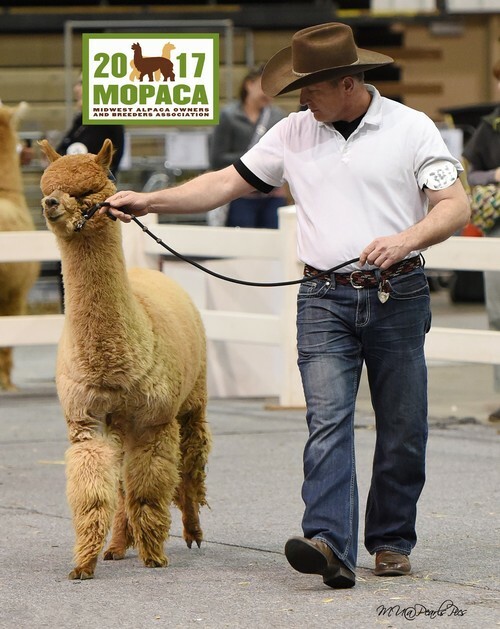 3rd - 2017 MOPACA Invitational, 2 yr old, Robin Nasemann. 1st was the CC and Judge's choice. 2nd - 2017 TXOLAN, MF 2yr old, Amanda VandenBosh. Good showing!